Your house is more than where you live. Whether you’re buying or selling, a professional home inspection can give you the peace of mind you need to make the right decision, and protect your most important investment. Meet Your Local AmeriSpec Team. AmeriSpec of Lethbridge & Medicine Hat is committed to providing you with detailed inspection findings and friendly, professional service. Our certified and trained home inspectors will work hard to make sure you receive comprehensive results about the condition of your current or next potential home. We also pride ourselves on providing the peace of mind people have come to expect from Canada’s Leading Home Inspection Company. Ryan Leavitt is a certified Master Inspector and a licensed home inspector in Alberta. He is a certified energy advisor for new and existing homes, as well as a level 1 thermographer and residential electrical evaluator. Ryan worked in construction for more than 15 years before moving into revenue property management and finally settling into becoming owner and operator of AmeriSpec of Lethbridge & Medicine Hat. He has completed over 4000 home inspections, and continues to serve clients with detail and clarity. Greg is an Licensed Alberta Home Inspector and has been inspecting for AmeriSpec since 2016. Have a question for any of our team members? Want to schedule a Service? Click here. From its inception in 1987 AmeriSpec quickly became North America’s leading home inspection service. In 1996, with our purchase by ServiceMaster, we became part of the largest and most trusted home service provider in the world. Today, the AmeriSpec name is the industry standard for quality, service and value. With over 75 franchise licences from coast to coast, AmeriSpec of Canada conducts more home inspections—and serves more satisfied customers—than anyone else in the country. For more information on our parent company, ServiceMaster of Canada, please visit www.servicemaster.ca. 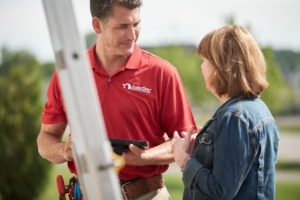 As a member of the ServiceMaster Team, AmeriSpec of Canada is committed to providing our customers with the very best service and most professional home inspections in the business. Our inspectors are trained to meet or exceed the Standards of Practice of the Canadian Association of Home Inspectors—the highest standards in the industry. Our state-of-the-art, hands-on training ensures they know exactly what to look for with every inspection they carry out. And our trademark AmeriSpec Report—gives you the information you need to know about the true condition of any home—and how to maintain it. For an AmeriSpec Inspector in other communities, click here.